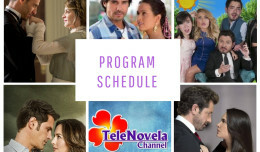 Passion: Episode 68 | TeleNovela Channel - Bringing you closer to lifes drama. Alberto suggests that Don Jorge should control Sofia because she spoiled his plan to get rid of Ricardo. On the other hand, Jorge visits Ricardo in prison and suggests that he should refrain from getting into trouble with Alberto and promises to protect Camila when she comes back. Meanwhile, Camila learns that Ricardo is in prison and decides to go see Ricardo despite his order not to return to San Fernando.